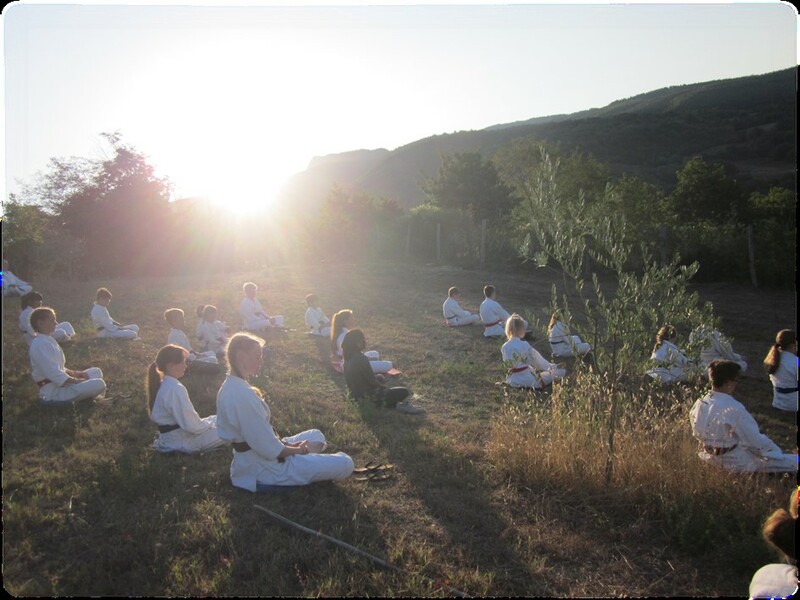 For the second time, we organized an Aikido seminar in which the students were taught not only by different teachers in different languages, but also by people of different age groups. We decided this year to travel to the beautiful Tuscany, despite a long and arduous journey with over 30 kids in the coach. 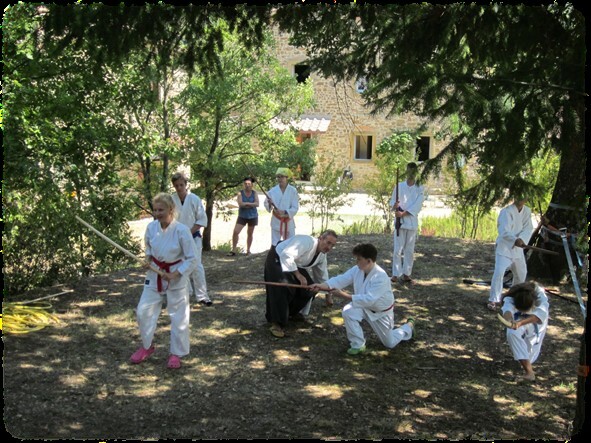 Italy, Tuscany and the Ki Dojo in Florence has been a highly valued point on the Aikido map for our dojo for a long time. Of course, in the plan, we were all going to help with preperation and cleaning in the kitchen. But who could we find who would be able to deal with us? We found her and she became the center, the heart of the whole seminar. Her name was Sabrina and she brought her … family of course, as is usual in Italy, her niece Martina. 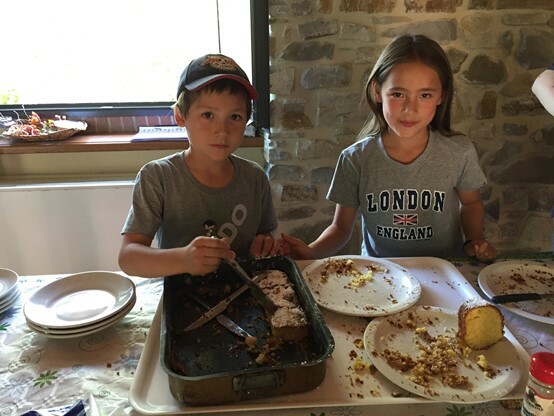 These two became the most popular people among the Aikidoka of any age in the shortest possible time and not only because of the really tasty and healthy dishes that were conjured up. No, actually, they were living the Aiki way. 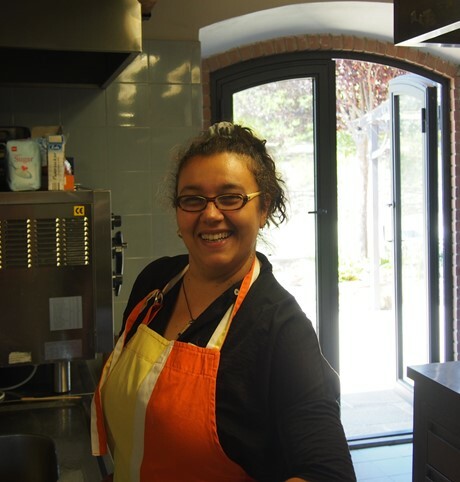 Everyone was always welcome in the kitchen and immersed in the aura of an always radiant and cheerful “Mamma” Sabrina. Everyone was allowed to cook, bake cakes or wash dishes under her joyful command. 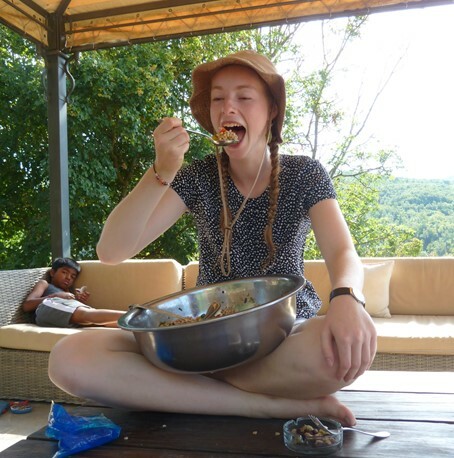 After 3 days Sabrina knew the names of all 65 Aikidoka, their eating habits and personal characteristics. She consoled homesick children, never complained, and had the right words for all and everyone. 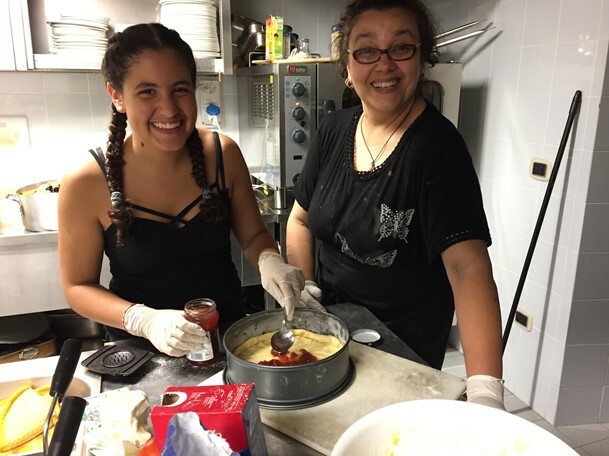 A Maestra della cucina with a great heart whose love to people flows from all her pores. “Love goes through the stomach,” one says in Germany. I personally believe the good healthy food cooked with love is very important (and not only) for the children at an Aikido seminar. Especially when they are far away from home and they have to deal with adversities like getting up very early, long training hours, foreign languages and unknown people. Good food gives them security and emotional stability. With this cook at our side, the seminar became an exceptionally beautiful Aikido experience. 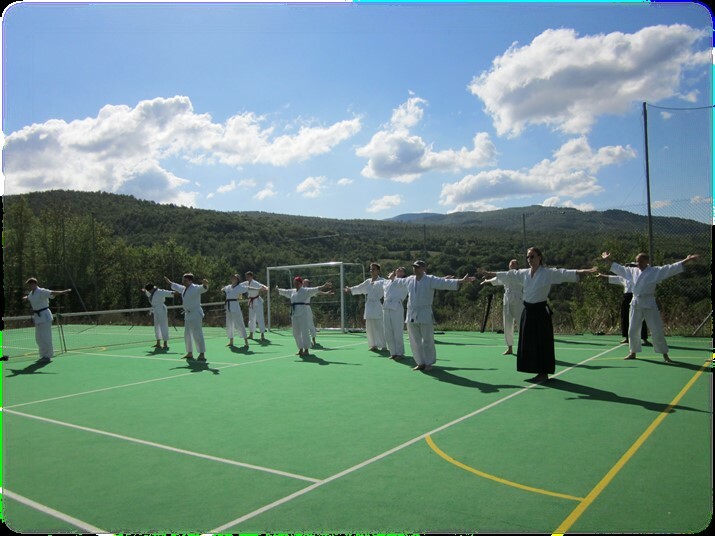 6 Sensei shared 7 sunny lessons every day, the wonderful landscape of Casentino always in view. the children have played, danced, sung and conquered the pool, made friends and wept bitterly when they left. 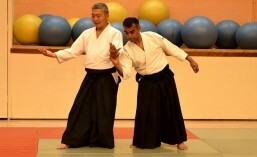 All this was the result of many hours of preparation and planning, many thousands of hours of experience on the part of the German, Irish, Italian and English Aikido sensei. 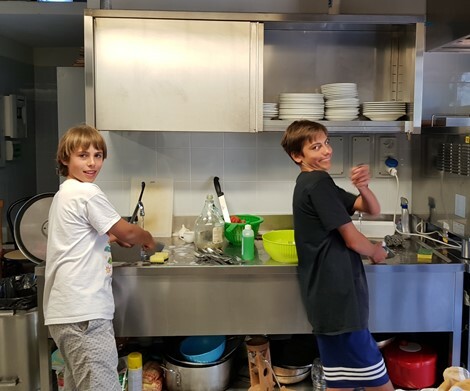 But also supported by the two cordial cooks, who have shown us experts in the field of peaceful martial arts how to do a good job, how easy it is to do their duty with love, beeing full of Ki and take all people as they are.